If you want the best fudge frosting, and a recipe for chocolate fudge frosting, you’ve come to the right place! 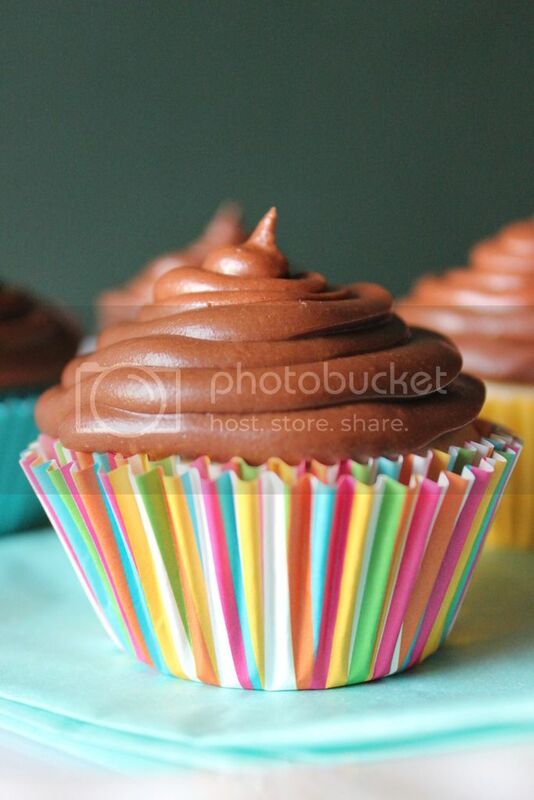 I have made many chocolate frosting recipes throughout the years. But this is the one, the ultimate, the McDaddy of all the chocolate frosting I have ever had. This recipes comes out perfect every time. It tastes like you spent hours over the stove making it, but you don’t even have to cook it! It tastes like you spent a lot of money on it from the impressive bakery downtown, but wrong again, you made this in less than 30 minutes, and most of that time was spent letting it cool. Because you can make this in under 5 minutes! June is birthday month in our household. 3 out of the 4 of us have birthdays in June. about a week apart. I made a delicious chocolate cobbler for Kayla’s 16th birthday and I made these for my husband’s. These were a hit! It was the frosting…man…it was the frosting! So lets get on to how to make this killer fudge frosting, shall we. In a mixer combine all of your ingredients and only 4 cups of the powdered sugar. Mix for 30 seconds, until combined, turn off the mixer, add the remaining 4 cups of powdered sugar. Mix for another 30 seconds to get everything incorporated. Increase speed to medium and mix for one minute. Allow frosting to cool for 15 to 20 minutes before you frost anything. Hi Joanna, thanks so much for sharing this amazing recipe for chocolate frosting at our Cooking & Crafting with J & J! Fudge frosting? YES. These look so delicious! I wonder what the hot water does? Is it just to help melt the butter and make everything smooth? It tastes as delicious as it looks! 🙂 Yep, the hot water helps make everything melt together and become smooth. This fudge frosting looks amazing! 🙂 I try to be as descriptive as possible! Agreed! Sometimes the frosting just kicks a cake/cupcake up a few notches. Yum! I’ve been on a bit of a frosting kick lately, making blueberry buttercream and strawberry cream cheese, but fudge is one I haven’t tackled yet. Looks like it’s time! Thanks for sharing! Yum! You’ve been making some that I would have never thought about trying out. I bet they are both delicious! I have a family recipe that contains all of the same ingredients but instead of using a mixer and boiling water, my recipe calls for cooking on the stove top. And i’m not that good at it, it doesn’t always come out right. I’ll try yours and see how i do. it sounds (and looks!) delicious! Shana, let me know how it turns out for you! I like the fewest steps possible, and normally anything on the stove top, dealing with chocolate, never turns out for me. Thanks for stopping by! Hello, we are visiting from http://www.sincerelyjean.com and we saw your post on the What’s Cookin Wednesday link party. We think your frosting look delicious! This sounds really good. I’ve made my own frosting and have been pleased by the results. Always keep the powdered sugar around. This looks delicious! I just want to eat the frosting with a spoon! Yum, this looks so good! I love chocolate (doesn’t everyone?) Thanks for sharing your recipe at What Are You Doing? The only way that frosting could be more perfect is if I could get someone to make it for me! LOL It looks absolutely delicious. I pinned it onto a large group board on Pinterest, and followed you on Pinterest, Facebook and Twitter. I found you on #HomeMattersParty, by the way. Yumm! WHo doesn’t love fudge frosting? This looks amazing and easy, which means I must try it! Thanks for sharing. Yum! I love chocolate! Thanks for sharing the recipe with us at the Merry Monday link party. I hope you’ll join us again next week. Sharing your post on Twitter! This looks delicious and I’m having some serious chocolate cravings now! I have one word to say: drooling! Thanks for linking up with us at Thursday Favorite Things! I need to try this immediately! Thanks for linking up with What’s Cookin’ Wednesday! Thanks for stopping by and all the Pinterest love! Hope you are having a wonderful day and thanks so much for sharing your awesome post with Full Plate Thursday!